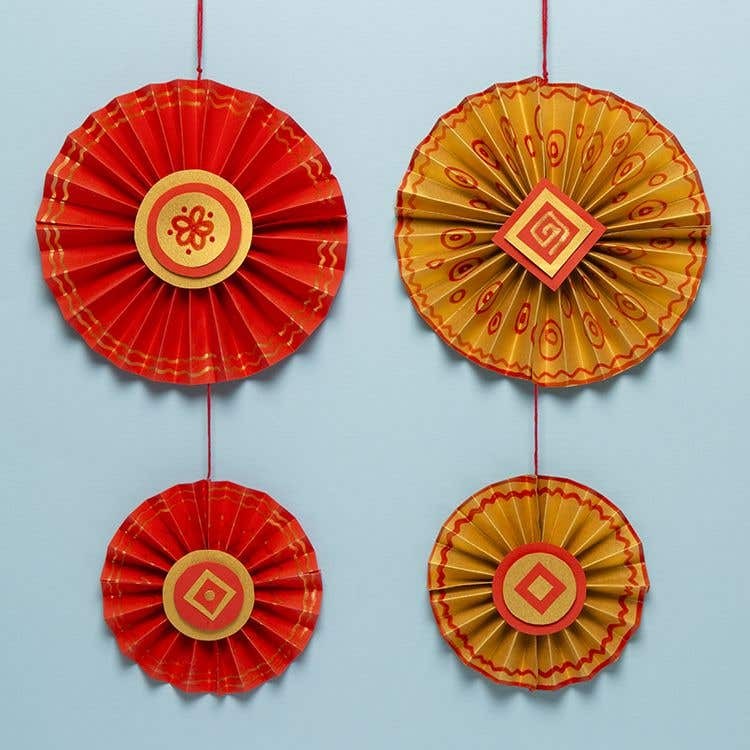 These folded fans can be hung vertically, or you could try making a horizontal string as a bunting-style New Year decoration. To make a 15cm diameter fan, cut a piece of red or gold paper in half into 2 x A5 pieces. 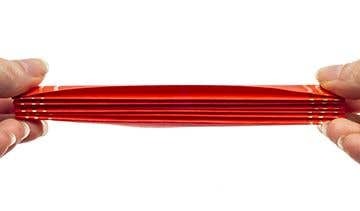 Use a Deco Pen to draw wavy lines or a simple pattern onto both pieces of paper. Leave the pen to dry then repeat on the reverse side. Place one sheet of the paper flat onto your work surface, positioned with a short edge at the bottom (portrait). Fold up the edge of the paper 1cm then make a crease all the way across. Turn the paper over and make a fold in the opposite direction. Continue to fold the paper all the way up to make a concertina, turning the paper over after each fold, with each fold approximately the same depth. Repeat with the second piece of paper to make another matching folded concertina. Fold one of the concertinas in half to make a ‘V’ shape. Lightly brush glue along the folded edges in the middle, then press together and leave to dry. Open out all the folds into a semi-circle fan shape. 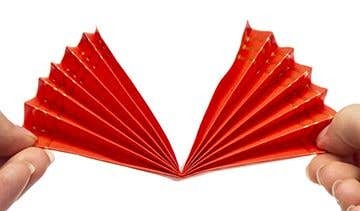 Repeat with the second piece of paper in the same way to make another matching fan. Cut a 60cm length of red embroidery thread then tie a loop at the top. Glue along both edges of the 2 folded semi-circles. Carefully place the thread along one glued edge and press the other fan on top, so the thread is sandwiched in the middle with the 2 halves forming a circle. Leave to dry. To attach another smaller circle, repeat the same method using 2 x A6 pieces of paper; to make these, cut a red or gold A4 sheet in half, then cut one piece in half again. This will make a 10cm diameter fan. Trim off any extra thread hanging underneath the circle. 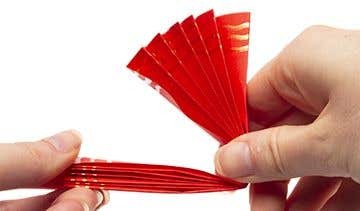 Cut card circles or squares to decorate the middles of the folded fans. Try layering several cut out shapes together then glue into the middle, or draw simple patterns with Deco Pens. To add a border pattern around the edge of the fan, draw the Deco Pen lines down the edges of the vertical sides of the paper before you fold it. Once the paper is folded, these lines will appear around the edge of the circle.